You may be familiar with Hugh Jackman's wolverine character in X-Men. In Real Steel, he is a bad father, a has-been boxer, a money-oriented prick, but still, the same tough guy that never changed. A gritty, white-knuckle, action ride set in the near-future, where the sport of boxing has gone hi-tech, the movie stars Hugh Jackman as Charlie Kenton, a washed-up fighter who lost his chance at a title when 2000-pound, 8-foot-tall steel robots took over the ring. Now nothing but a small-time promoter, Charlie earns just enough money piecing together low-end bots from scrap metal to get from one underground boxing venue to the next. When Charlie hits rock bottom, he reluctantly teams up with his estranged son Max (Dakota Goyo) to build and train a championship contender. As the stakes in the brutal, no-holds-barred arena are raised, Charlie and Max, against all odds, get one last shot at a comeback. 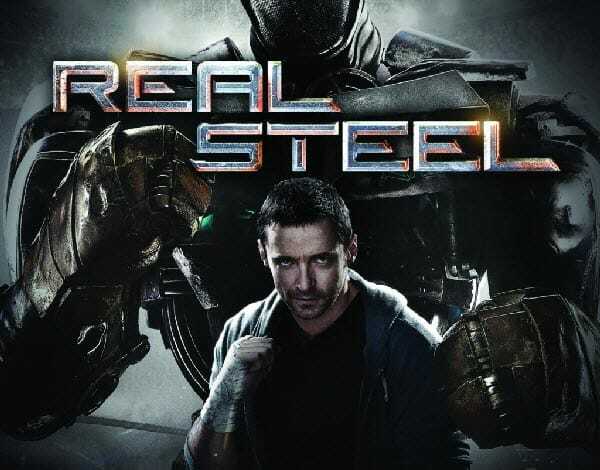 Can't wait to transfer Real Steel to your iPhone iPad Android devices to watch? Just download MacX DVD Ripper Pro for free and do the job breezily. Download MacX DVD Ripper Pro, install and launch it. To rip DVD, first please make sure you used the latest version of MacX DVD Ripper Pro (v 3.9.5). You may click "Check New Version" from the menu bar, and directly download it from the download page. Insert your DVD movie Real Steel into your DVD drive. Click the "DVD Disc" button to import the DVD to the program. If you have already saved the DVD as DVD Folder onto your computer, you can also import DVD Folder by clicking the "DVD Folder"; ISO files by clicking the "DVD ISO". This DVD ripper will automatically choose the right title for you. Choose from "to iPhone", "to iPad", "to HTC", "to Samsung" buttons in the middle as your target output format, and choose the desired profile among the drop-down profile list based on your specific mobile device. MacX DVD ripper Pro supports all generations of iPhone/iPad and mainstream Android devices. You can also choose the audio/video quality, frame rate, and other parameters according to your own needs. Click "RUN" button to start ripping, MacX DVD Ripper Pro will finish ripping Real Steel quickly. After ripping, you can transfer the ripped files to your iPhone/iPad/Android device, and enjoy the movie there. 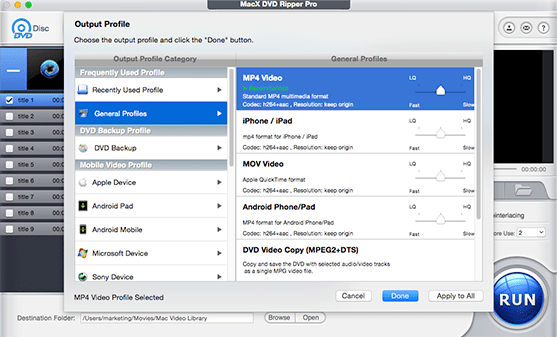 MacX DVD Ripper Pro also can rip DVD to MP4, MPEG, WMV, MOV, FLV, etc. If you are Windows user, here is MacX DVD Ripper Pro for Windows.